Lately I have been making a lot of recipes that are “good” but not quite “omg I need to make this every day for infinity years”. This applesauce broke my mediocre streak. 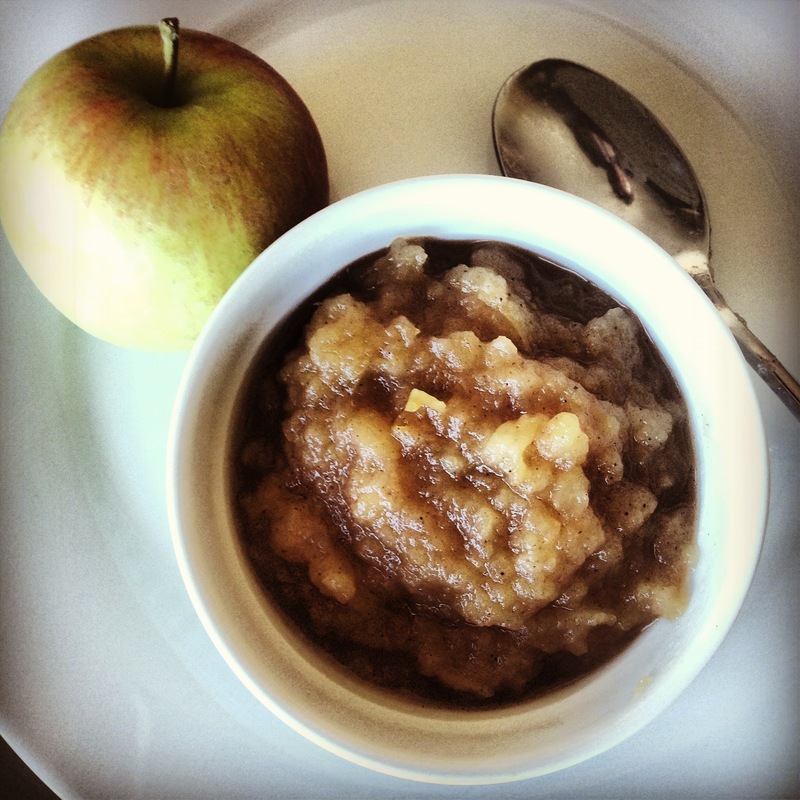 It tastes like the freshest slice of apple pie you’ve ever had but better because it’s easier to consume in this pureed form. 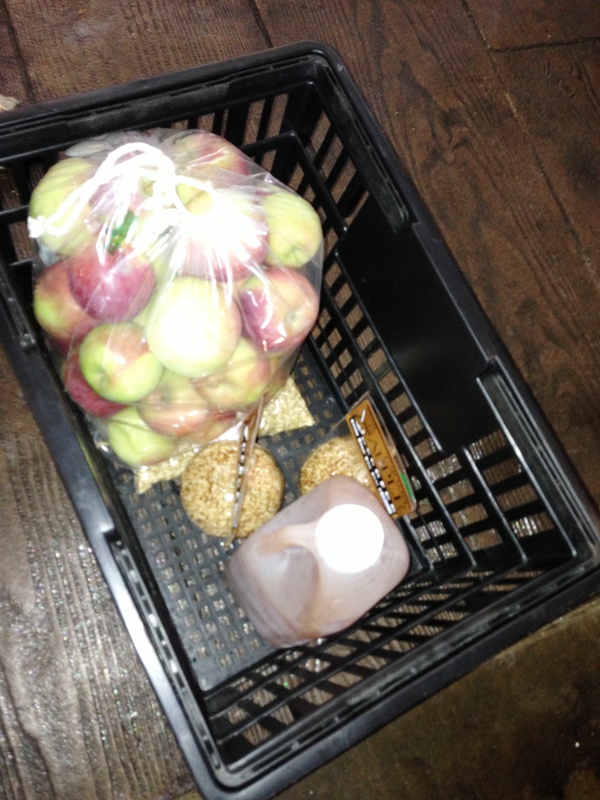 I have been jonesin for an apple orchard run since the temperature dropped below 80 degrees. I have been borderline bitter at my lack of free time and inability to buy excessive amounts of orchard quality apples. Then something beautiful happened- I was meeting a client to discuss something completely unrelated to baked goods. I stumbled upon the address where we were meeting and it turned out to be an APPLE ORCHARD. I was so overjoyed I could barely make it through our meeting with a straight face. When he asked me if I wanted to check out the apples afterwards I spilled the beans that I had been dreaming of this moment for weeks. 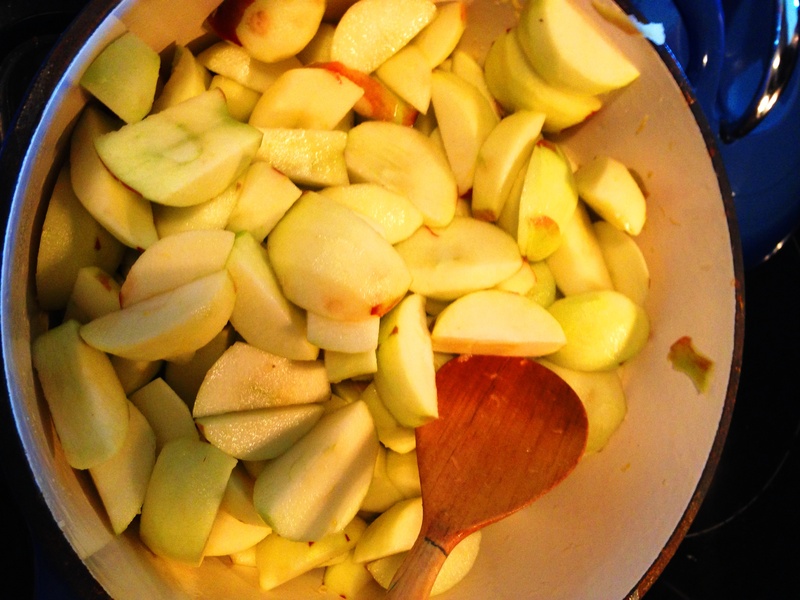 *I used Empire apples because that’s what the apple orchard had… Ina wants you to use a mix of Granny Smith and Macoun or McIntosh. I really think so long as you don’t use Red Delicious (the devil of all apples***) you are good. **I ended up using 0.25 cups of light brown sugar and 0.25 cups of dark brown sugar because that’s what I had left in my cabinet. I know so few recipes where it actually matters whether the sugar is light or dark and am genuinely annoyed that there are two types. Use whichever one you have. ***Red Delicious Apples are the worst apple and possibly fruit known to man. 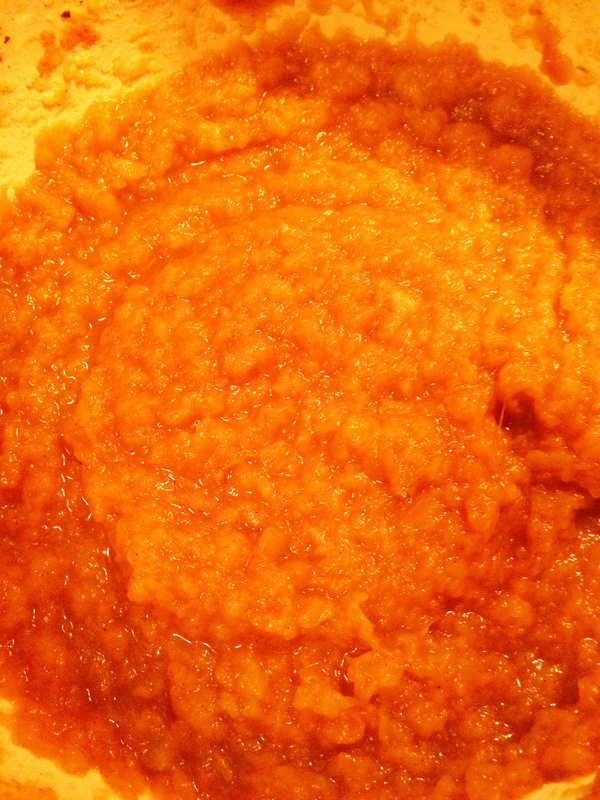 One quick note- I tasted this apple sauce when it was 32098509283532 degrees straight out of the oven and thought it was way too acidic. After it hung in the fridge for a while I thought it was paradise. Just warning you so you don’t start cursing my name when you taste it for the first time. Place the zest and juices in a large Dutch Oven or enameled iron pot. Peel, quarter and core the apples and toss them in the pot. This is the only annoying part of this recipe. Peeling apples is insanely boring and it feels like it’s all I’ve done since I bought the above “peck” of apples. If you can export this job to a mom, boyfriend or weak-minded roommate I suggest you do. 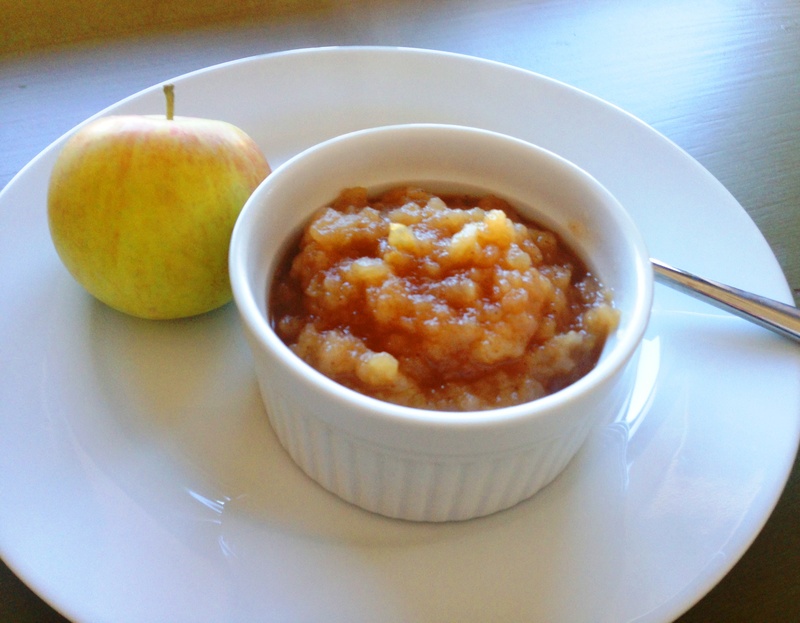 For your red(ish) colored apples: don’t feel like you have to peel them perfectly, a little extra peel in the applesauce gives it that awesome rose color. 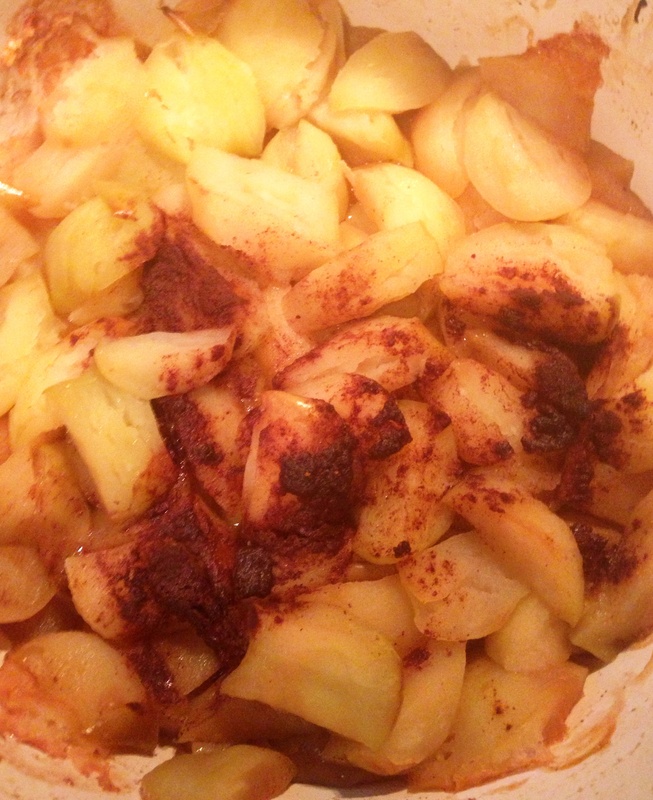 You want to give the apples an occasional stir in the juice as you peel so they don’t brown. 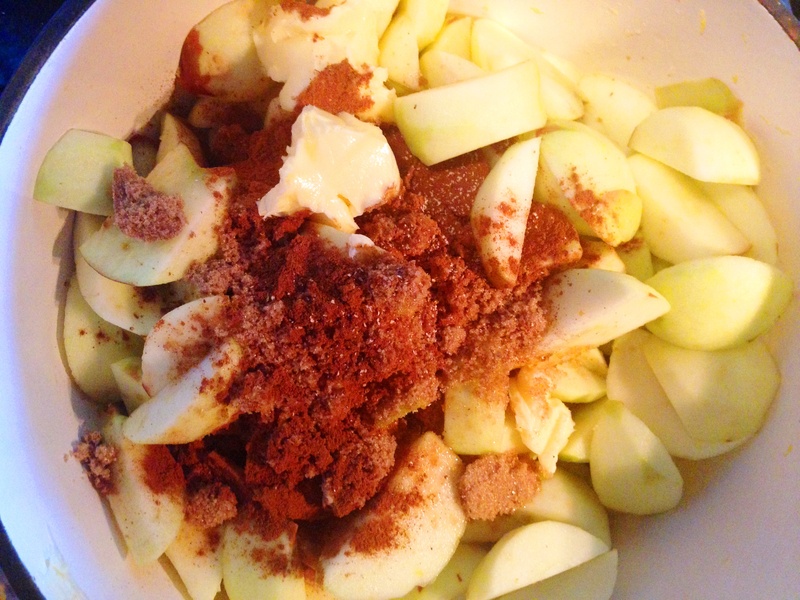 Add the sugar, butter, cinnamon and nutmeg. Cover pot. Bake in a 350 degree oven for 1.5 hours. When I took the lid off the pot I was convinced this wasn’t done cooking. Then I whisked everything and it turned into THE WORLDS BEST APPLESAUCE.